Gallery tours [such as heritage tours of the site and the collection, exhibition and garden tours] tailored to the needs and interests of each audience. 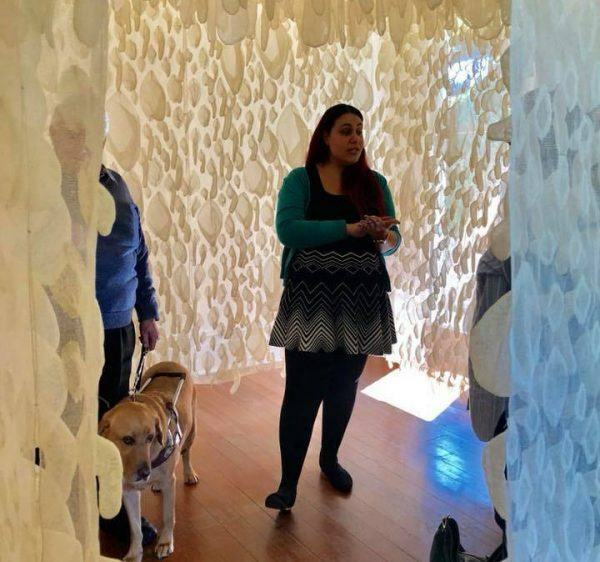 Interactive Gallery tours using a range of interpretive strategies for visitors with special needs, including sensory tours for visitors with an intellectual disability and audio description for visitors with a vision impairment. Access to art making workshops, delivered by specialist tutors in a range of art-making media. Specialist mentorship programs for artist living with a disability. Accessible Tour of Tactile exhibition, Autumn 2018. 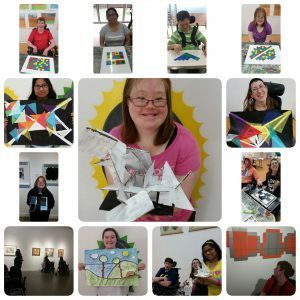 Tuesday Art Club is a two hour studio based workshop program for adults who identify as having disability and for whom art is an important part of how they express themselves. The program includes drawing, painting, printmaking and clay sculpture. The program will have a focus on encouraging participants to approach art materials in new and experimental ways as well as exploring the creative process with an emphasis on individual creative discovery. Art Club participants will complete a series of art projects across the six weeks. Wednesday Afternoon Mentorship is dedicated to enrich the professional development of emerging artists who identify as having a disability. Over the course of 6 weeks Penrith Regional Gallery will offer 6 x 2hour studio access to a selected artist as well as exclusive mentorships with key players in the art industry to further develop participants as professional practice in the Visual Arts. This opportunity will be on offered twice a year. Watch this space as more details will be released soon. The Five Feisty and Fabulous Film Project offered filmmakers who identify as living with disability the opportunity to undertake a digital film workshop program. This project provided five participants, the opportunity to tell five stories, in five minutes, in a digital film format. The project was hosted by Penrith Regional Gallery using our studio space and the accessible technology of iPads and smart phones delivered by technician and film maker Jerome Pearce with a series of guest lectures by industry experts. The program will include workshops that look at narrative development, storyboarding, filming and editing as well as film distribution and an introduction to how to use social media film platforms.